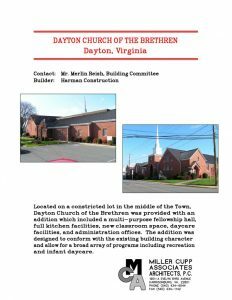 Dayton Church of the Brethren – Miller Cupp Associates, Architects, P.C. 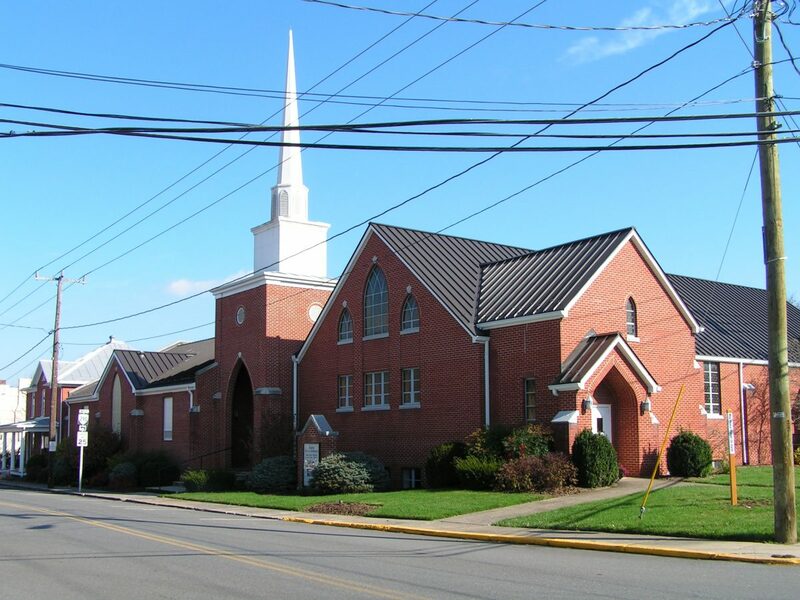 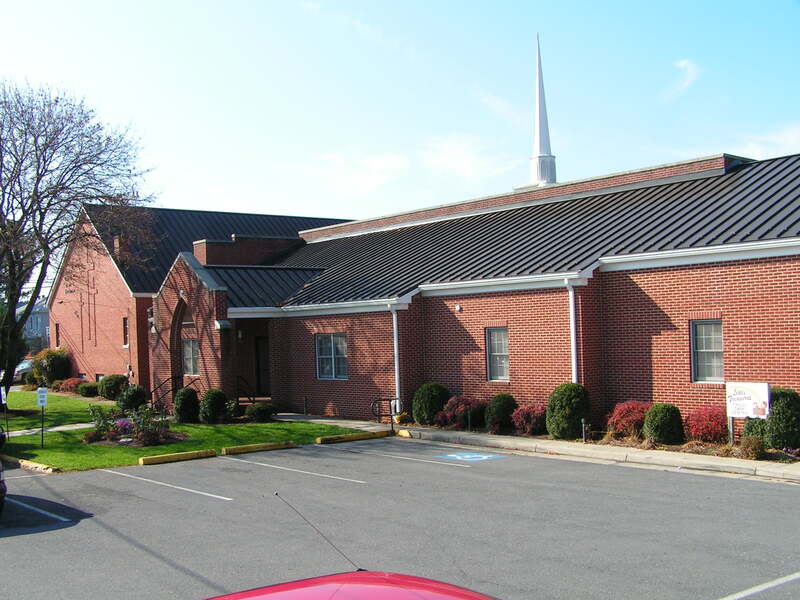 Located on a constricted lot in the middle of the Town, Dayton Church of the Brethren was provided with an addition which included a multi-purpose fellowship hall, full kitchen facilities, new classroom space, daycare facilities, and administration offices. 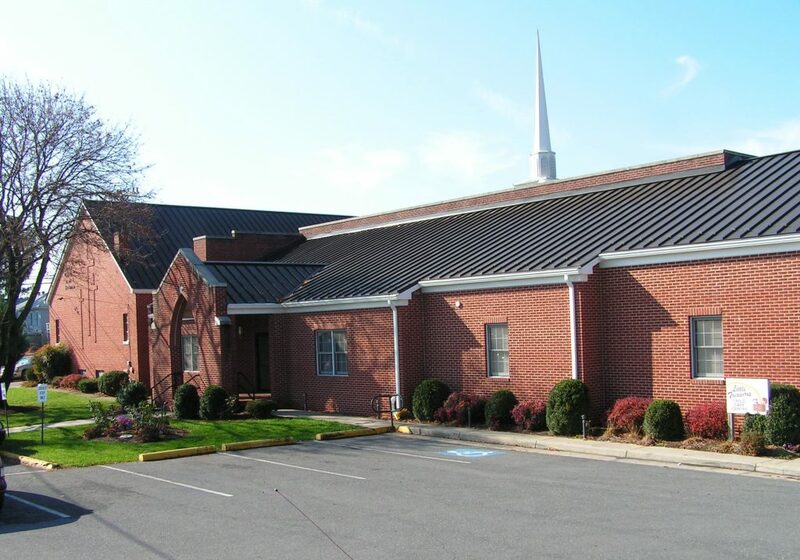 The addition was designed to conform with the existing building character and allow for a broad array of programs including recreation and infant daycare.